Ticketing: Tickets for programs at Art + Practice are free but limited. Tickets are available on the A+P website. On the day of the event, any unclaimed seats will be released after 7:15 p.m.; event begins promptly at 7:30 p.m.
Njideka Akunyili Crosby (b. 1983, Enugu, Nigeria) received her BA from Swarthmore College (2004), a post-baccalaureate certificate from the Pennsylvania Academy of Fine Arts, and her MFA from Yale University School of Art (2011). 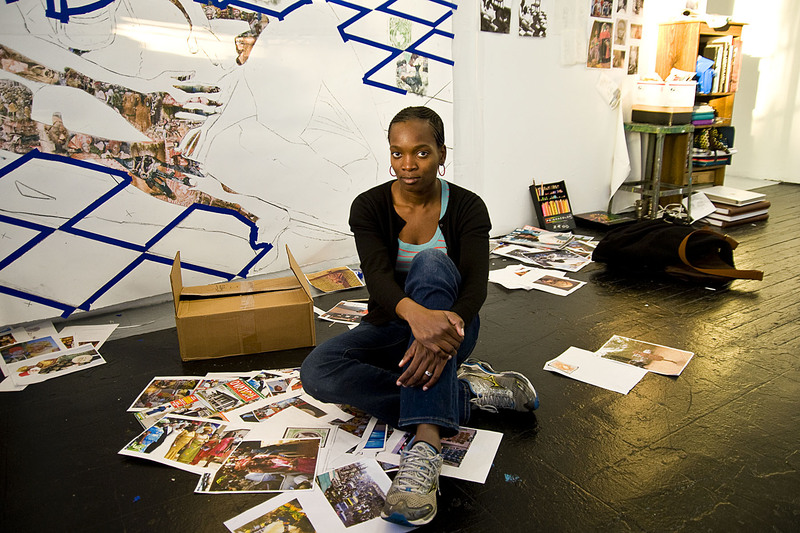 She participated in the Studio Museum in Harlem’s Artists-in-Residence program in 2011–12. In 2014 she received the Smithsonian American Art Museum's James Dicke Contemporary Art Prize. Her first Los Angeles solo institutional exhibition opens at the Hammer Museum in October. She has recently participated in the exhibitions Surround Audience: New Museum Triennial 2015, New Museum, New York; Draped Down, Studio Museum in Harlem, New York (2014); Sound Vision, Nasher Museum of Art, Duke University, Durham, NC (2014); Meeting in Brooklyn, curated by Monica Lenaers, Landcommandery of Alden-Biesen, Bilzen, Belgium (2014); Shaktiat, Brand New Gallery, Milan (2014); I Always Face You, Even When It Seems Otherwise, Tiwani Contemporary, London (2013); Domestic Experiences, Foreign Interiors, Sensei Exchange, New York; I Still Face You, Franklin Art Works, Minneapolis (2013); New Works, Gallery Zidoun, Luxembourg; Jump Cut, Marianne Boesky Gallery, New York (2013); Housewarming, BRIC, New York (2013); Bronx Calling: The Second AIM Biennial, Bronx Museum of the Arts, Bronx, NY (2013); Primary Sources, Studio Museum in Harlem (2012); and Lost and Found: Belief and Doubt in Contemporary Pictures, Museum of New Art, Detroit (2012). 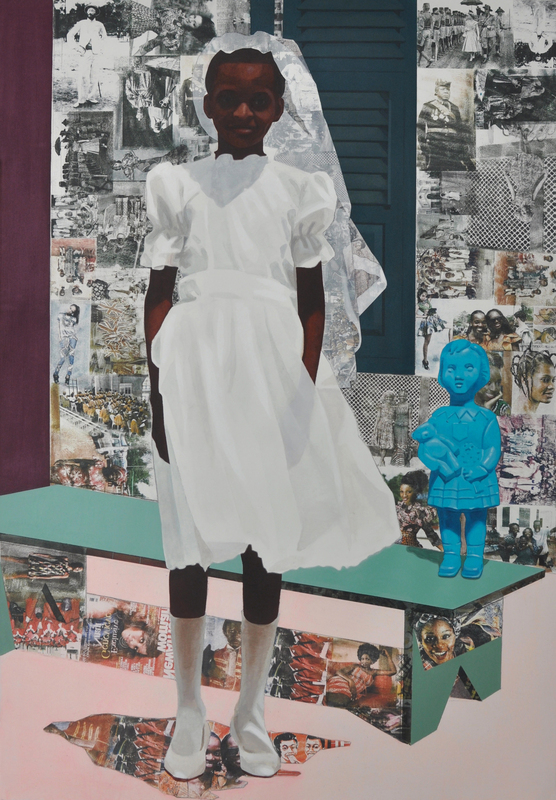 Her work is in the collections of major museums, including the Nasher Museum of Art, Duke University; Pennsylvania Academy of the Fine Arts; San Francisco Museum of Modern Art; Studio Museum in Harlem; Tate, London; and Yale University Art Gallery, New Haven, CT. Her work will be the subject of a solo exhibition at the Norton Museum of Art, West Palm Beach, Florida, in January 2016, as well as her first solo exhibition at Victoria Miro, London. She lives and works in Los Angeles. 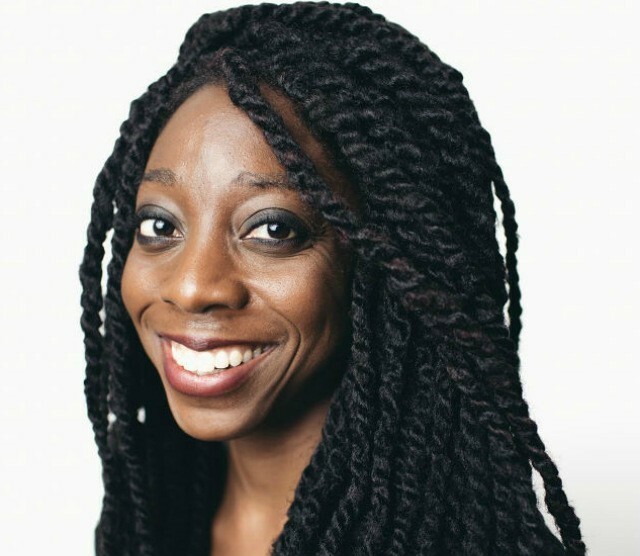 Akosua Adoma Owusu (b. 1984, Alexandria, VA) is a filmmaker with Ghanaian parentage whose films have screened worldwide in prestigious film festivals, museums, galleries, universities and microcinemas since 2005, including at the Museum of Modern Art, New York; The Studio Museum in Harlem, New York; Centre Pompidou, Paris; and the London Film Festival, among others. She is a 2013 MacDowell Colony Fellow and a 2015 Guggenheim Fellow. Her company Obibini Pictures produced award winning films including Afronauts and Kwaku Ananse, which received the 2013 African Movie Academy Award for Best Short Film. Kwaku Ananse was nominated for the Golden Bear prize at the 2013 Berlinale, and included in the French Cesar Film Academy Golden Nights Panorama program. The film was supported by Focus Features Africa First, Art Matters, and The Sarah Jacobson Film Grant in 2012. She was a featured artist at the Robert Flaherty Film Seminar in 2010 and received the Africa First award sponsored by Focus Features in 2011. 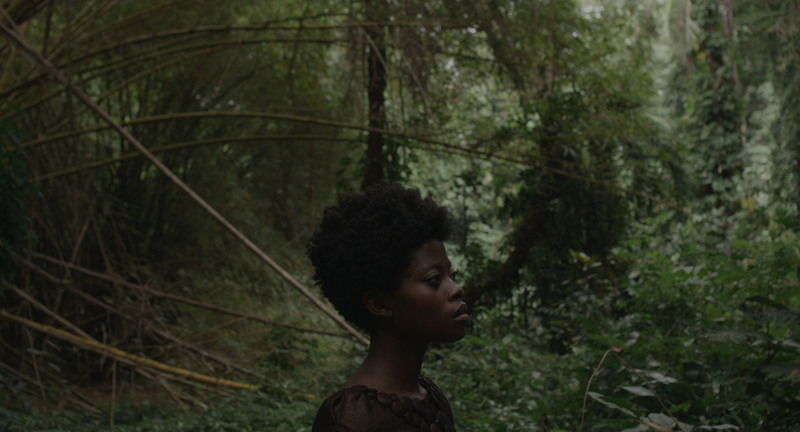 Owusu’s film Split Ends, I Feel Wonderful received the Tom Berman Award for Most Promising Filmmaker at the Ann Arbor Film Festival in 2013. Her most recent exhibitions include Prospect.3: Notes for Now in New Orleans, America Is Hard to See at the Whitney Museum of American Art in New York, and The Art of Hair in Africa at the Fowler Museum at UCLA in Los Angeles. Various museums and universities hold Owusu’s work for their research and permanent collections, including the Whitney Museum of American Art, the Fowler Museum, Yale University Film Study Center and Indiana University Bloomington, home of the Black Film Center/Archive. She holds an MFA in Film/Video and Fine Art from California Institute of the Arts and received her BA degree in Media Studies and Art (with distinction) from the University of Virginia, where she studied under the mentorship of prolific avant-garde filmmaker, Kevin Jerome Everson. She lives and works between Alexandria, Virginia; Bronx, New York; and Accra, Ghana.